Google+ Mom to 2 Posh Lil Divas: FREE Coffee is Something to Celebrate! FREE Coffee is Something to Celebrate! Disclosure: I participated in an Influencer Activation on behalf of Influence Central for Dunkin’ Brands. I received a promotional item to thank me for my participation. 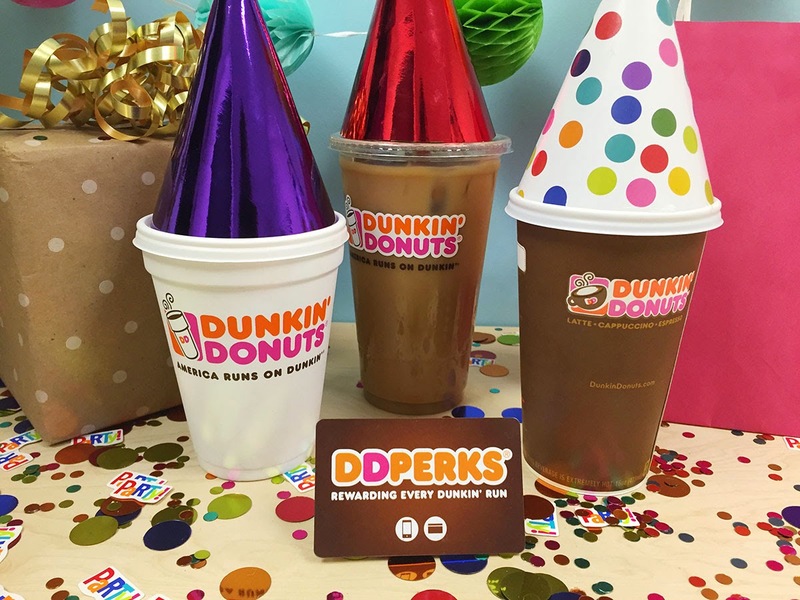 I recently shared my love for Dunkin Donuts with you and their awesome DD Perks program in this post. The Lil Divas recently got their report cards. They or course rocked it at school & made the Honor Roll. I am such a proud mom. Of course we had to celebrate our successes and Dunkin Donuts is one of our "go to" local places for a celebratory treat. A donut, a few munchkins or some other treat is such an easy (and affordable) way to say "well done girls". Dunkin Donuts is also this mama's "go to" place for a quick pick me up. Nothing makes me smile after a long day in the classroom like a big cup of iced coffee - yum! DD always has something to treat each member of my family happy. That's no easy feat with 2 picky Lil Divas. It's no surprise that DD Perks is celebrating BIG these days. It's their 1 YEAR ANNIVERSARY! They have lots to make noise about, too. Over the past year, the DD Perks program has awarded it's loyal customers, like me, lots of rewards. I've earned lots of free coffee and many other discounted offers and coupons via the app. I never pay without it. It's so convenient and easy to use on my phone - one quick zap and I'm done. Every purchase brings me closer to a FREE beverage of my choice. Thanks for all the FREE coffee DD Perks! If you haven't joined the DD Perks generation - what are you waiting for? You'll earn 5 points for every qualifying dollar you spend at DD when you pay via a DD card or using the handy app. You'll also receive personalized special offers and coupons and a FREE beverage (any size!) on your birthday. Once you accrue 200 points you earn a FREE (any size) beverage of your choice - redeemable at a participating DD store near you. remember to use the special code - BLOG at sign-up. from one of your most loyal customers!